Get the insider's experience of the Horsetamer album! Exclusive walkthrough of the Horsetamer album and recording process, by Julia Ecklar, producer Michael Moricz, and Henry Yoder (engineer for Divine Intervention). 20 alternate and early mixes of many album tracks. Includes a performance of Joey Shoji's "Bloodchild", which was recorded but never completed. Julia's a cappella vocal bliss: Wonder what Julia sounds like a cappella? Exoerience nearly all of the album tracks with just Julia's vocals - nothing added. Instrumental mixes of the entire CD. Sing parodies, sing along, or just enjoy the amazing orchestral craftsmanship. 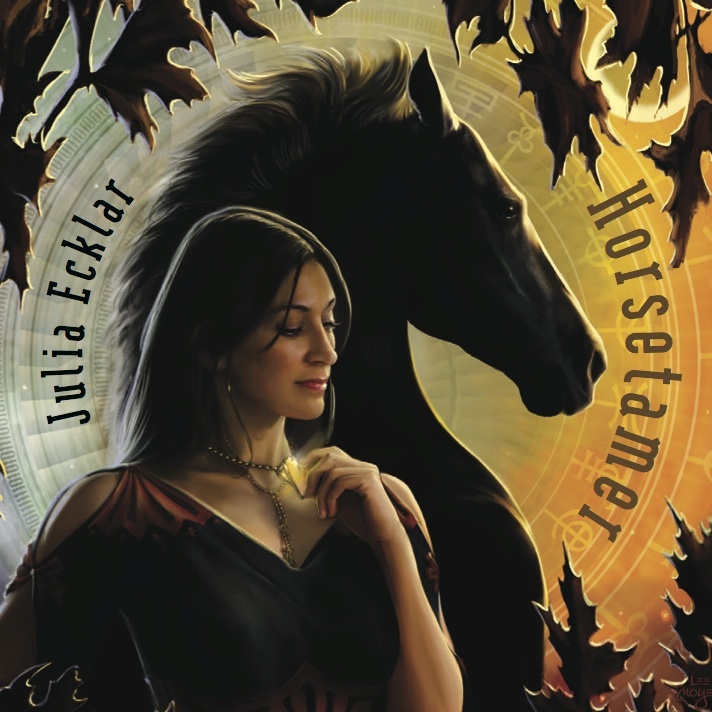 "The Making of Horsetamer": Sit in on Julia's recording sessions on The Troll King's Dream, Tin Soldier & Gentle Arms of Eden. P.S. Looking for the actual Horsetamer album? Click here. 2. Artist & Producer commentary on "The Horsetamer's Daughter"